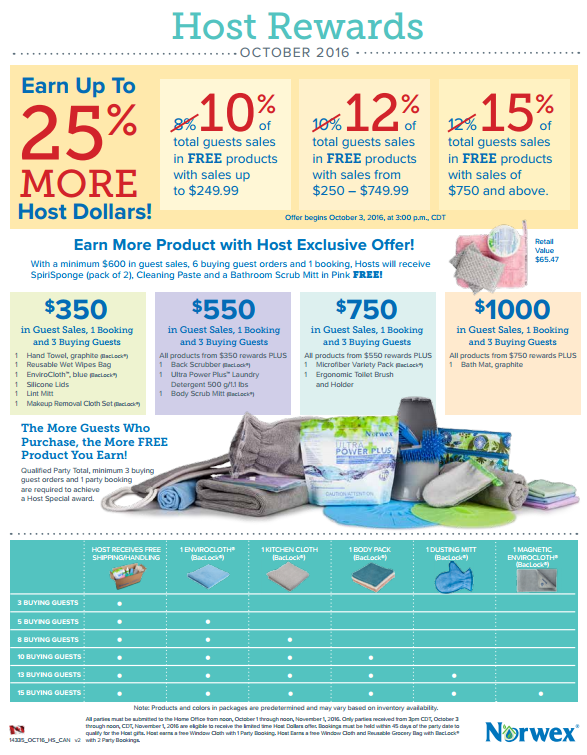 Giving you more reasons to host a Norwex party! 8% bumped up to 10%, 10% bumped up to 12%, and 12% bumped up to 15% in Free product of YOUR choosing! You can be my Business Partner for a week (or two) and earn without paying taxes! The catch? I pay you in Norwex products and discounts. If you get me another business partner for a week (or two) and you have over $325 in sales – I give you a window cloth, 500g of the Ultra Power Plus Laundry Detergent and the Small Mop package! …over $500 in sales – I give you a window cloth, 500g of the Ultra Power Plus Laundry Detergent , a rubber brush and upgrade you to the Large Mop package! …over $750 in sales – I give you a window cloth, 500g of the Ultra Power Plus Laundry Detergent, a rubber brush, upgrade you to the Large Mop package and add the Superior Dry Mop Pad! …over $1000 in sales – I give you a window cloth, 500g of the Ultra Power Plus Laundry Detergent, a rubber brush, upgrade you to the Large Mop package and add the Superior Dry Mop Pad and the Tile Mop Pad! I can set you up with a temporary website and you can give people the link so they can shop online for the week (or two). Click the contact link above to message me. Have a Norwex Party without even being home and still earn the mop! 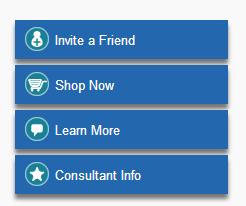 Our super cool new websites have the ability to do online parties! Why is that so cool? It’s summer! Everyone has disappeared to all sorts of places but you and your friends can order from wherever you are by going online and you still earn the July/August Hostess Reward of the Norwex Mop System (with a booking)! I set up your online party. I send you the link to your hostess portal. You send your friends e-invites to their e-mail address. Your friends order online and can invite even more friends to your online party. You choose your products with your hostess credits. When your party is done, I submit it with your booking. Your order arrives and your friends can pick them up from you when they get back (or have it shipped to them at the tiered rate). Well, the children are back at school. Are you already bored? 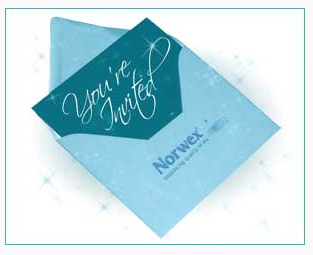 Why not gather some people together for a Norwex Demo and take advantage of the great Hosting and Customer Specials?